Brophy Mothers' Guild: BROPHY VOLUNTEER OPPORTUNITIES! Can you believe the end of the school year is almost here?! The good news is we still have a few more volunteer opportunities available! Please see below for your chance to volunteer for one or more of these events! One hour of your time is requested! Pictures are taken, hugs are given and cake is eaten! Can you help set up and decorate earlier in the day? Can you serve cake and lemonade in the evening? 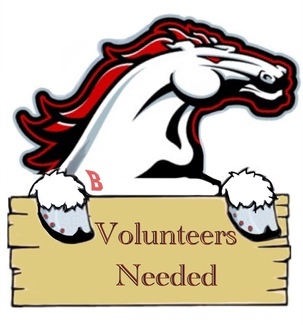 *PLEASE VISIT THE BROPHY MOTHERS' GUILD WEB PAGE VIA BCP'S MAIN WEBSITE* Click on the Volunteer/RSVP tab for information on all current volunteer positions. Cookies may be dropped off to the fabulous Mrs. Dennard in the SAC anytime during school hours on Monday, April 22nd & Tuesday, April 23rd THANK YOU! Please join us in Harper Great Hall and help distribute lunches, beverages and check in our beloved Brophy Grandparents! This says April 24th, but I'm signing up for myself and Barbra Spotts for May 1st. Senior tic packets.